Some important things that you must do in iOS it’s to show a message in the middle of the screen. A popup, expert will say. Here’s a small code to do it. 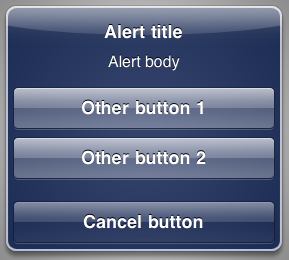 UIAlertView *alert = [[UIAlertView alloc] initWithTitle:@"Text of the alert"
Ok, you will not have the same as the image, but if you read the code it’s easy to put more buttons (otherButtonTitles) or messages in it (message). In this example there are equal to nil (or Null for friends).